The A58 Bolton Ring Road taking traffic past the north west of Bolton, this section take its name from Moss Bank Park. The name is derived from 'moss' meaning peaty or marshy land, and bank from the higher land over the ground where the landowners built their house to the north. The lease for the land was drawn around 1739-40 between Captain Roger Dewhurst of Halliwell Hall and Peter Ainsworth, a bleacher also from Halliwell, and records detailed lands called the moss and lightbounds. The Ainsworth's built a hall, but it has since been demolished, but a tower remains in Moss Bank Park which is now a major recreational area. North east is Smithills and east is Halliwell. North is Barrow Bridge, south and east is Doffcocker. 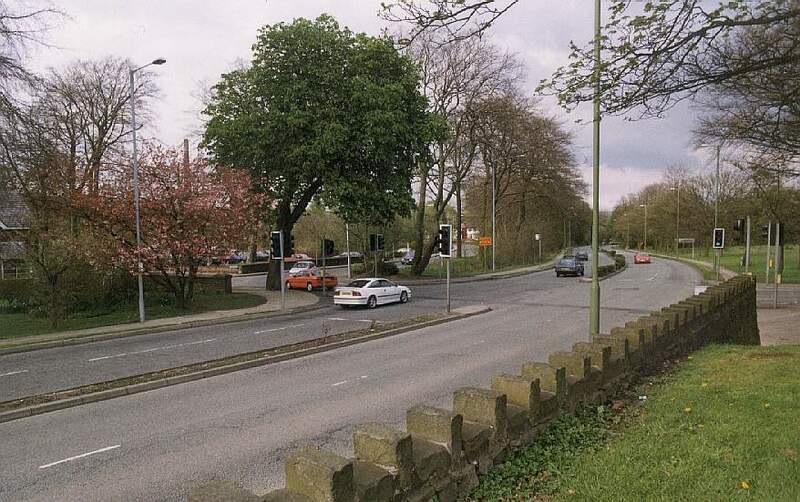 This is in the direction of Smithills and the park entrance can be seen on the left.